Click on the Play Button and 'Sonic Runner' will start after this message... Thanks for waiting! Help this vampire run around town at midnight. 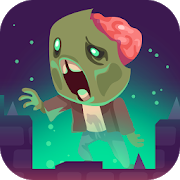 Dodge graves, jump over cars and collect as many coins as possible. Prove your skills and try not to crash! Help the crazy old lady escape from her nursing home once more. This time she's in Cairo! Dodge the obstacles, jump, slide and collect all the coins you find on your way. Don't get caught! Are you a good runner? You're gonna have to prove it! Control a robot in this mechanical world. There's only one way, so flee and dodge the obstacles you encounter.